Phoenix Immobiliare with its team has gained experience in the real estate field since 1987. It is organized to satisfy any kind of request and/or assistance on buildings for commercial, residential, tourist and agricultural use. 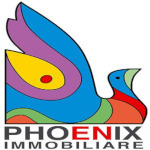 In 2007 Phoenix Immobiliare founded an association with other long-lived agencies in the areas, called AIA (Agenzie Immobiliari Associate : Associated Real Estate Agencies). This allows the agencies to operate on a wide territory that includes the provinces of Ascoli Piceno, Teramo, Fermo and Macerata in the best way. Cosenza Piero is registered as agent in the chamber of commerce of Ascoli Piceno with n. 100, and as expert with n. 358. It is a real estate agent since 1987.